The Spanish affiliate of global section of the global human rights campaigning organization Amnesty International has denounced Spain’s ongoing shortage of affordable housing and cites continuing increases in rental prices in Madrid and Barcelona as contributing to the chronic problem of evictions over non-payment of rent. In a report issued last week, Amnistía Internacional España said that not only is Spain’s housing crisis not over, but that the right to housing and the negative impact of evictions on renters and homeowners across Spain is disproportionately affecting women and and especially single-parent families, where the sole parent in the household is the mother. 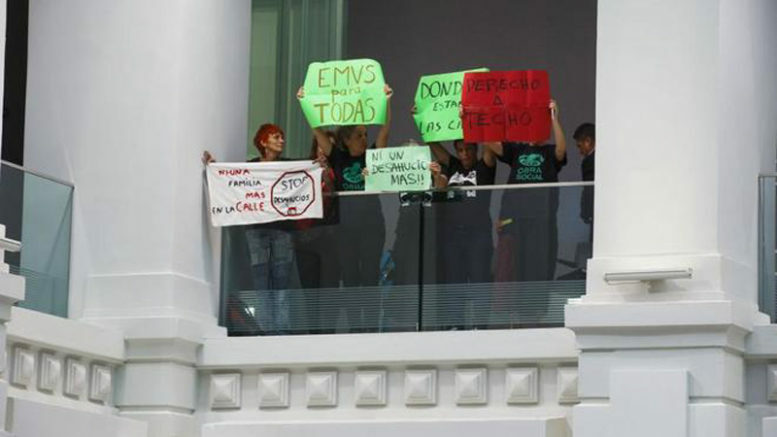 According to the NGO, since 2013 there have been 144,405 evictions across Spain of families and individuals owing to non-payment of rent, with 34,193 of those evictions occurring last year alone. While 11 percent of Spanish families were unable to pay their mortgage or rent on time last year, the number of single-parent households in the same situation was 17.3 percent. With Spain’s female unemployment rate at 20.3 percent as compared to male joblessness of 17.2 percent, Amnesty says there are a disproportionate number of women working part-time to try and keep their family finances afloat and the large number of single-parent families across Spain means that working single mothers and their children are at far greater risk of eviction than the rest of the population.